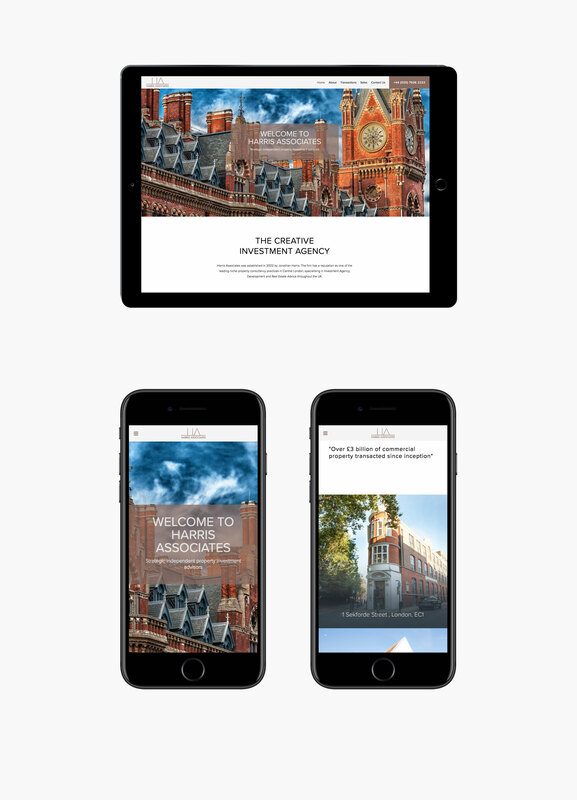 As a firm that boasts a reputation as one of the leading niche property consultancy practices in Central London, they'd approached Original People in order to establish a digital presence that would personify the contemporary and creative essence of their business. 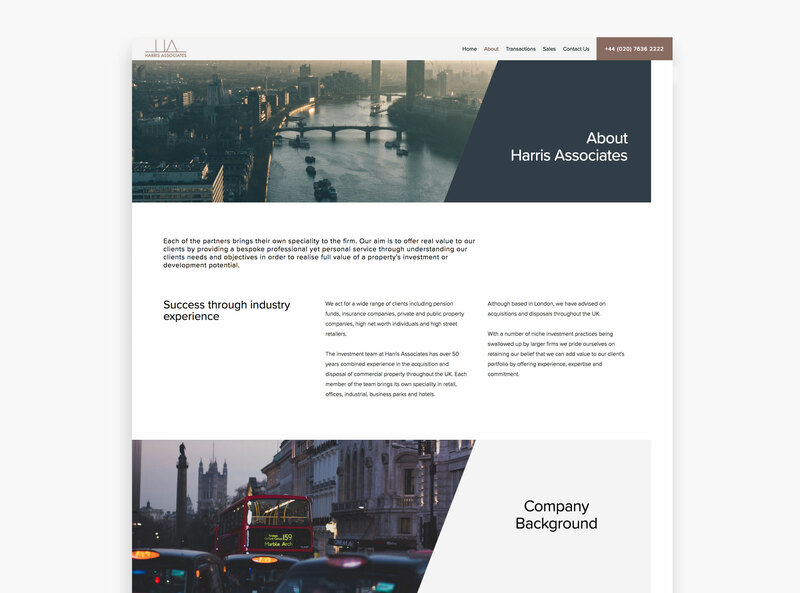 With over 50 years of combined experience in property acquisition and disposal of commercial property throughout the UK, Harris Associates were looking to deliver a digital presence that would personify their brand, along with their reputation. 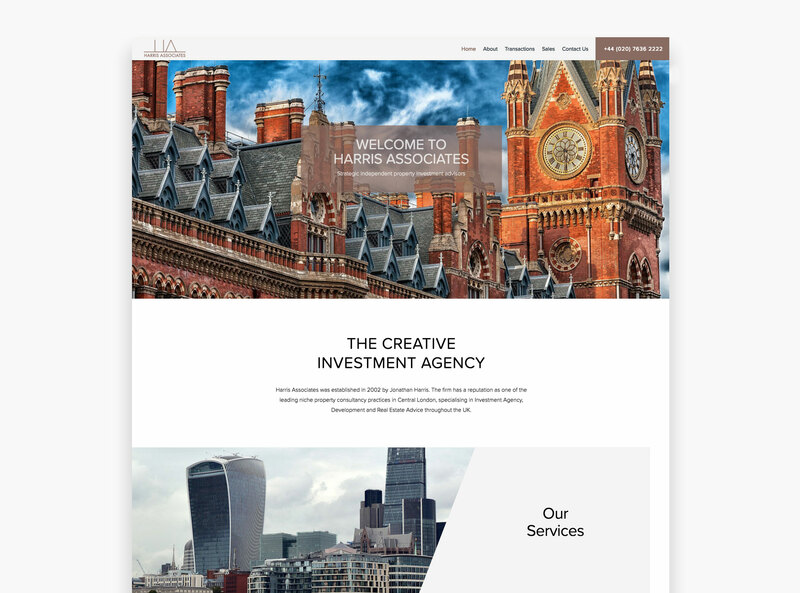 Through exploring various potential design aesthetics, we were tasked with delivering an experience that would compliment the values that Harris Associates are recognised for. In order to ascertain the various components required to produce the user experience and user journey, we focused our research into uncovering the essence of the property investment industry. We discovered that the underlying backbone of the business was building long lasting relationships with clients, and we used this insight to produce a user interface that would resonate throughout the user journey; with immersive animations and angled overlay assets. An agile development process was implemented throughout the project, in order to adapt to new functionality and feature sets. 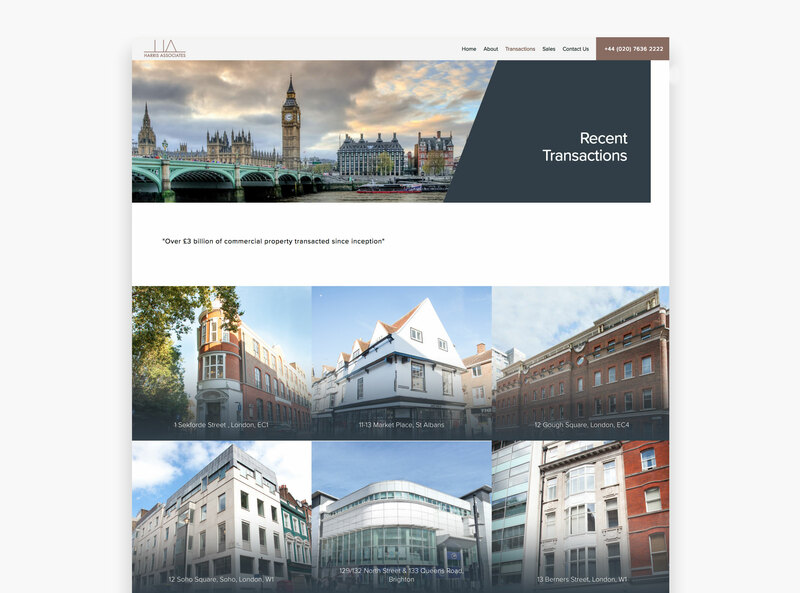 Our development team produced a unique backend within the bespoke WordPress content management system, enabling Harris Associates to showcase their recently completed transactions, and their latest sales. We produced a digital data room, in which they can present documentation associated with sales. Since the implementation Harris Associates' new digital presence, we have seen an enhancement in user engagement on a cross-platform basis, with an equal amount of consumers exploring on their desktops, tablets and mobile devices. We have developed the new presence to offer a consistent and comprehensive experience, concurrently across all platforms. Harris Associates are now able to compete within the property investment industry on a global scale, with new relationships are being forged through their digital platform.